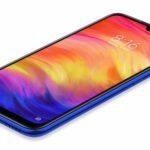 After continuous leaks and rumors, the Redmi Note 7 Pro has finally gone official in India. 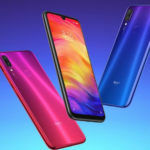 It is an enhanced version of the Redmi Note 7. The phone boasts an FHD+ display with Corning Gorilla Glass 5 protection. It supports USB Type-C connectivity and also gives space to a 3.5mm headphone jack. 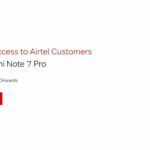 Xiaomi is expecting thunderous success for the Note 7 Pro in India. Let’s check out its price and specs to gauge whether it will make large this time. 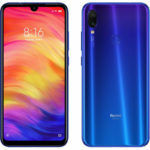 The Xiaomi Redmi Note 7 Pro price in India starts at INR 13,999 for the 4GB RAM+64GB Storage variant, INR 16,999 for the 6GB RAM+128GB Storage variant. It will be available in Neptune Blue, Nebula Red, and Space Black color options. Starting with the display, the Redmi Note 7 Pro features a 6.3-inch FHD+ display paired with 19.5:9 aspect ratio. The circular ‘Dot Notch’ on the top houses the front camera. Xiaomi has adopted a new ‘Aura design’ on the rear, which gives the Note 7 Pro a much-needed premium look. The screen is further protected by Corning Gorilla Glass 5 on both front and rear along with a 6-layer Gradient Finish. Under the hood, the Redmi Note 7 Pro is powered by an octa-core Snapdragon 675 processor clubbed with Adreno 612 GPU for better graphics. It has 6GB of RAM and up to 128GB of inbuilt storage. Xiaomi claims that the Note 7 Pro is the fastest Redmi phone as it has garnered over 180,000 points on AnTuTu benchmark. The Note 7 Pro is also the first Redmi phone to be launched with a 128GB storage variant. Standing true to the rumors, the Redmi Note 7 Pro does come with a 48MP+5MP dual camera setup on the rear with Sony’s latest MX586 camera sensor. 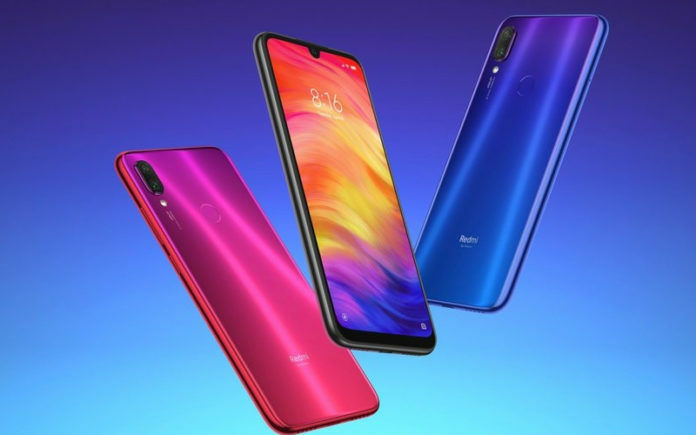 Xiaomi has stated the Redmi Note 7 Pro camera will have default 12MP resolution and users will have to switch to the Pro mode for using the 48MP resolution. The rear camera setup also supports 4K video recording at 30fps along with Electronic Image Stabilisation (EIS). It has a 13MP selfie camera on the front with studio lighting, beautify mode and AI mode. A 4,000mAh battery backs the Redmi Note 7 Pro with support for Qualcomm’s QuickCharge 4 technology and USB Type-C connectivity. 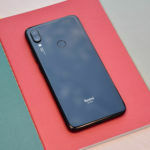 The phone includes connectivity options such as Dual-SIM, Dual 4G, VoLTE, WiFi, Bluetooth, GPS, USB Type-C, a 3.5mm headphone jack, and IR Blaster. On the software front, the phone ships with Android 9 Pie-based MIUI 10. 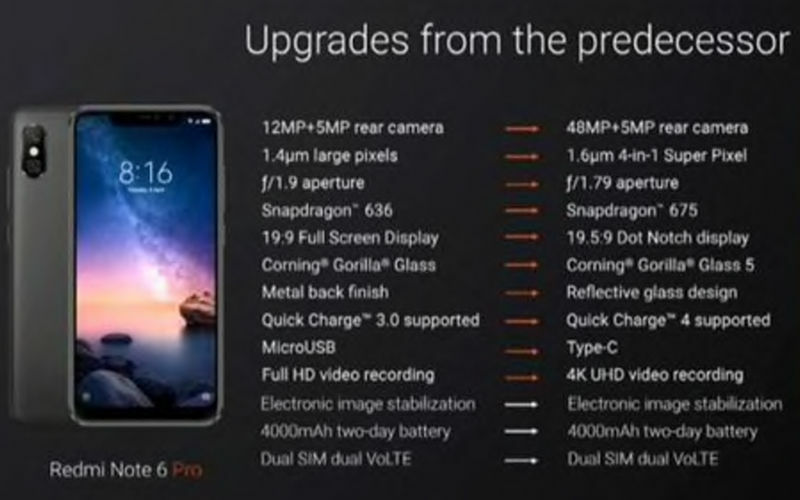 At the launch, Xiaomi also made one big revelation by naming phones like the Realme 2 Pro, Asus Zenfone M2 Pro, Oppo K1, and Vivo 11 Pro, to be integrated with Snapdragon 660 Lite instead of Snapdragon 660 (used on the Redmi Note 7). 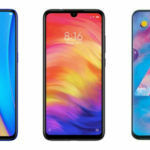 The company said some of the brands were cheating the consumers by using the ‘Lite’ variant of the SD660, which delivers 10% lesser performance. The Redmi Note 7 Pro is a legit upgrade over the Redmi Note 6 Pro. What’s your take on it? Share your thoughts in the comments below. Please keep stock of minimum 5 to 8 lakhs for first sale…less than 5 lakhs will go in 10 minutes especially 128gb version. Hope i will be lucky to get on first sale.